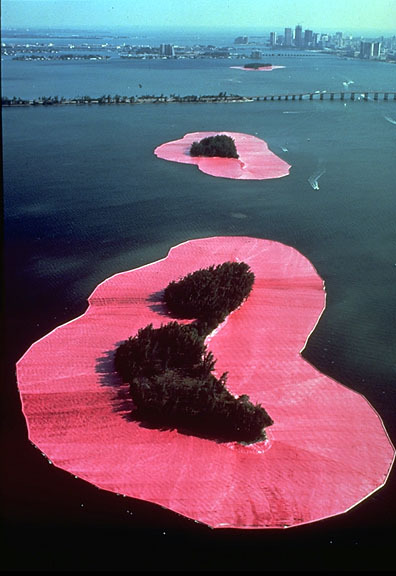 Inspired by ancient monoliths like Stone Henge and America's mound builders (in combination with modernism and minimalism) artists in the late 1960s began creating "earth art" or "land art" using rock, wood and synthetic materials. 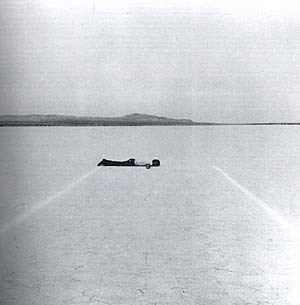 One of the first was Walter De Maria's "Mile Long Drawing" in the Mojave Desert in 1968. 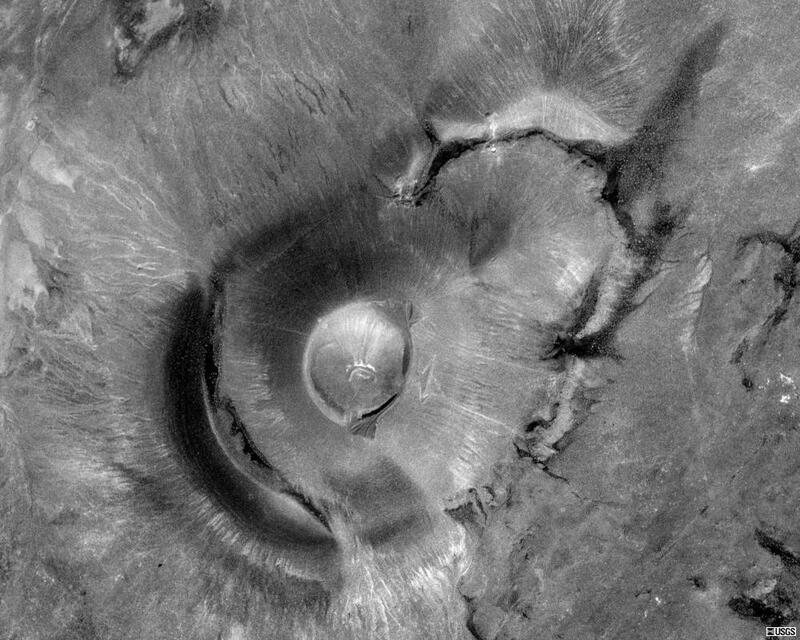 The works frequently existed in the open and are left to change and erode under natural conditions. 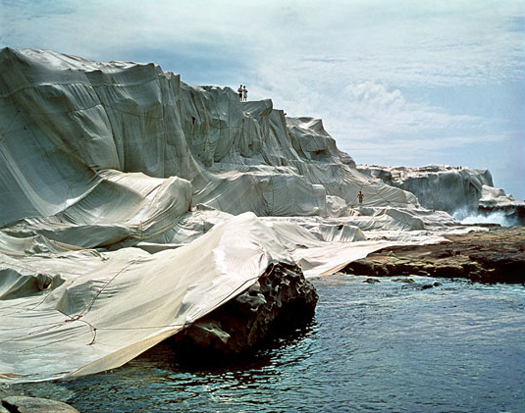 Many of the works were temporary from the beginning, have since been destroyed and now only exist as photographic documents. 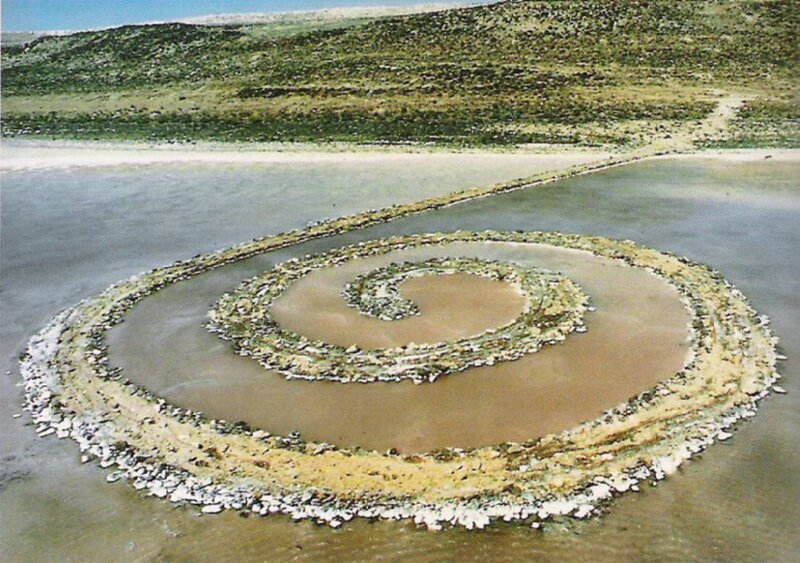 Spiral Jetty, the most famous of all earth art pieces, is considered to be the masterpiece of American sculptor Robert Smithson, is the name of an earthwork sculpture built in 1970. 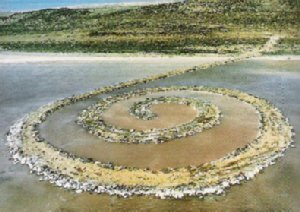 Built of mud, salt crystals,basalt rocks, earth, and water on the northeastern shore of the Great Salt Lake near Rozel Point in Utah, it forms a 1500-foot long and 15-foot wide counterclockwise coil jutting from the shore of the lake. 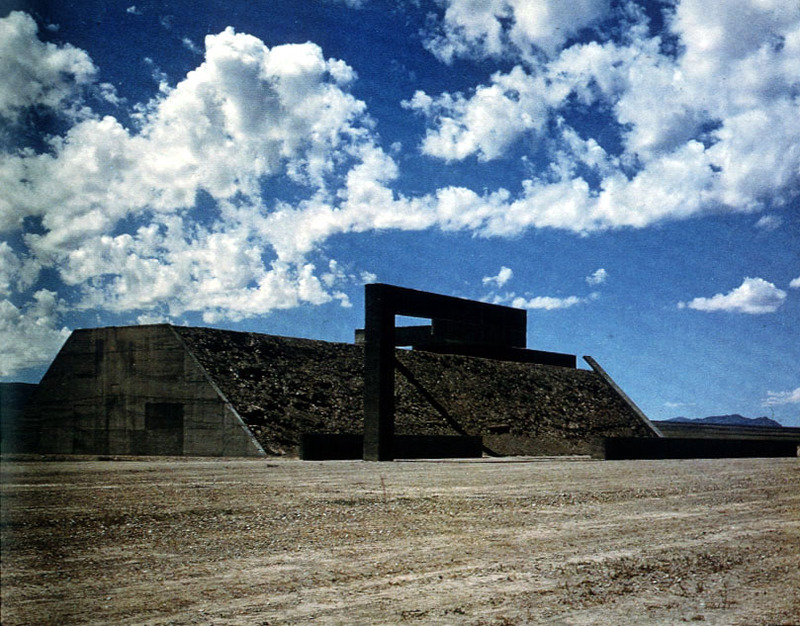 At the time of its construction, the water level of the lake was unusually low because of a drought. Within a few years, the water level returned to normal and submerged the jetty for the next three decades. Due to a recent drought, the jetty re-emerged in 1999 and is now completely exposed. The lake level rose again during the spring of 2005 due to a near record-setting snowpack in the mountains and partially submerged the Jetty again. 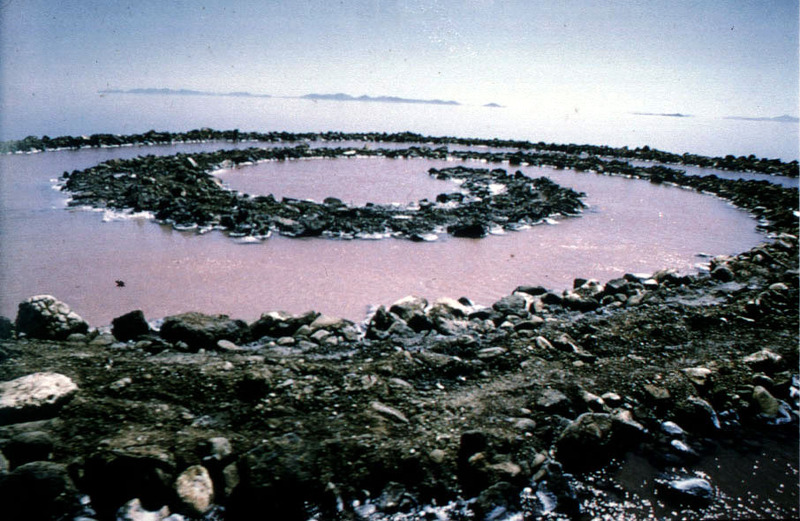 Originally black rock against ruddy water, it is now largely white against pink due to salt encrustation and lower water levels. 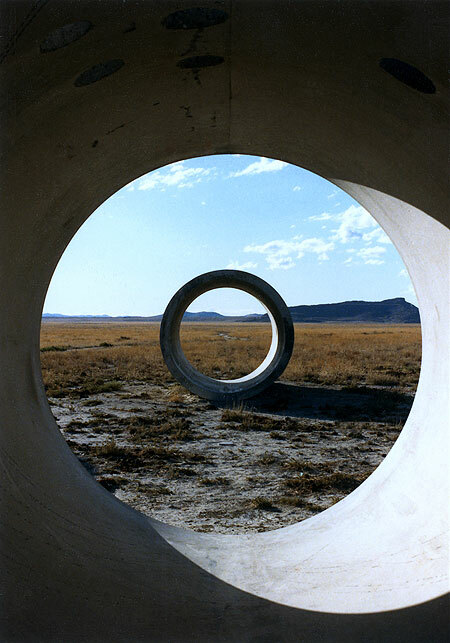 James Turrell - Roden Crater Project - Begun 1974-? 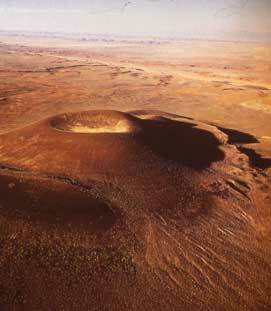 James Turrell - Roden Crater Project (Satellite View) - Begun 1974-? Sonfist, Alan (2004). 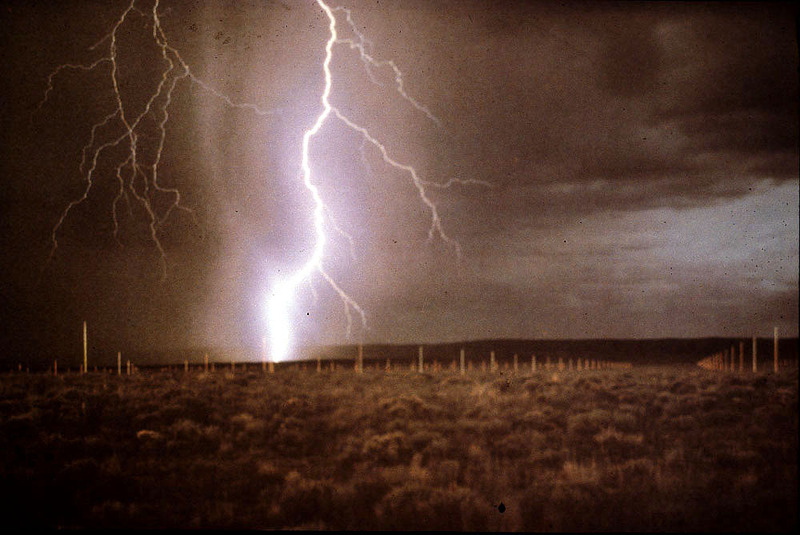 Nature: The End of Art. Florance, Italy: Gli Ori,Dist. Thames & Hudson, 280p. ISBN 0615125336. Rock Balancing is a particular branch of Earth Art which is very temporary. The artist balances rocks on top of one of another to create an unique structure which will later be knocked by wind or vandals. The purpose of rock balancing however isn't to sell sculptures however, its more like a Buddhist meditation which requires practice and patience. 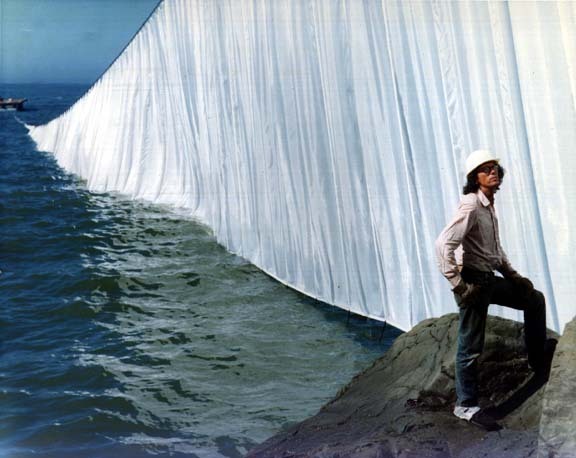 Usually done in public places such as beaches, the artist doesn't use any kind of glue, cement, magnets, etc. There is no trick to rock balancing. It just takes lots of practice and a good sense of balance. Some artists however, like Aimee Rimes in Toronto, Canada, have been hired to balance rocks in people's gardens to add an extra bit of sculptural interest to their landscape designs. The example shown here is by Canadian artist Charles Moffat. 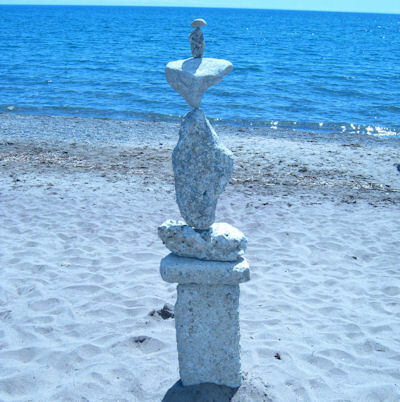 See also: Canadian Rock Balancing Art and The Sculptures of Charles Moffat.